Because every problem isn’t the same, every solution cannot be the same either. Each child in our campus has different needs from the other. It is a task of careful consideration to come up with a strategy that would work effectively for a child and make the life better for them. Thus, an in-depth assessment is very important. We have divided the beneficiaries depending upon their problems and how much attention they need. We evaluate each ward on several scales, like chronological age, behaviour, speech, social conduct, intelligence quotient, physical disability, etc. That is when we understand which group placement is best for the student. We are quite sensitive with these kids and follow a professional approach when dealing with them. But it may be difficult for the parents to understand how they should get their child to behave a certain way, or to understand a certain thing. We empathize with them, and realize that they too need some counselling. We have set up this special board that meets the parents and counsels them on whatever issues they are facing with their wards. Apart from assisting them in coping with the concerns, this service also updates them with their child’s progress, and assures of their betterment. This largely helps in raising their acceptance of the special child. It is difficult to nurture a child that has such special needs. Too many points need to be taken care of, and of course, nobody can do it better than a parent. But when they require a professional handling that isn’t guided solely by the filial love, we come to assist them. We conduct sessions where we educate the parents on how their parenting jobs can get a little less hectic, without hampering the right growth environment for the kids. It is heart-warming to see some parents volunteering to spend some time with these children in our school. Our experts have been formally trained, and the ‘Rehabilitation Council of India’ acknowledges them. Taking into consideration the special environment these kids need, and the difficulties of commuting in public transport, we have arranged for vehicles that pick kids from their homes and drop them at back after the school. The parents of our wards have appreciated this thoughtful gesture of ours, and feel at ease with how we have resolved their concern. Every morning the school buses leave the school for 25 different routes. Each bus covers 45 kms in one side of its journey. A member of support staff is present in every bus to assist the children who have difficulty in climbing the bus and getting out of the bus. Once the school reaches the school, the well-trained support staff is already present at the entrance to help the each child get out of the bus safely. 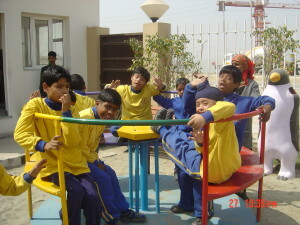 Then each child is assisted in their respective classes for further daily activity planned by the teachers. 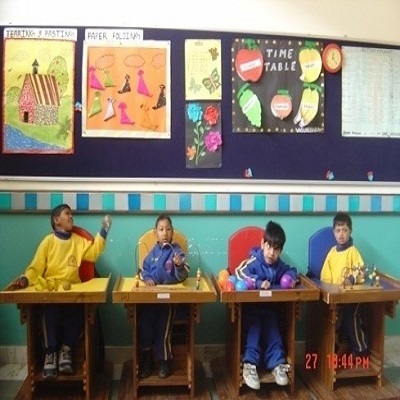 It is necessary for all our on-board teachers to fulfill the necessary criteria. Since there are many new studies and researches going on in the field of special education and rehabilitation, we keep conducting workshops to keep our faculty abreast with them all. This helps them keep in touch with the latest teaching strategies that work effectively. At MBCN, one can always find a long waiting list of children who want to take admission in the school. Due to certain limitations, the school is not able to accommodate all the children. To help parents of the children who are not able to get admission, the school regularly conducts workshops or one to one interaction with teachers. The trained teachers make the parent understand the condition of their child and teach them activities that can help the child in Activities of Daily Living (ADL). Many fun activities are also taught to the parents to help the child learn new things at home. The motive of imparting education to an individual is to help them become free from any kind of dependence. Education enables us to carry ourselves confidently in the world and in a school where the attendees are kids with special needs, it is very important to follow the right approach. At MBCN, it is our prime concern to give a warm, nurturing environment to our students that gives them plenty of scope to grow in terms of academics, communications, social skills, basic application sciences and self-care skills. Our teaching programmes have been developed after a careful consideration of their special needs, and each one leaves a positive impact on their overall personality. 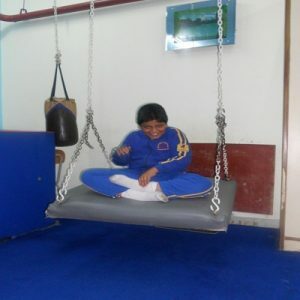 We develop customized individualized training programme for each child to address his/her individual needs.